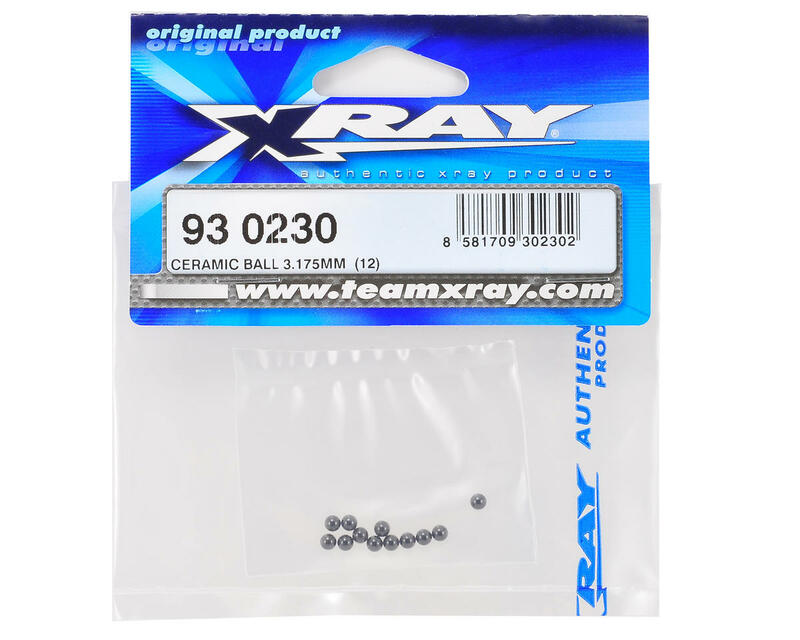 This is a pack of twelve XRAY 3.175mm Ceramic Differential Balls, and are intended for use with the XRAY XII, X10 and X12 pan cars. These premium-quality ceramic balls are made from extra-hard Si3N4 silicone nitride ceramic material. This material significantly improves differential lifespan and increases RPM capabilities, while at the same time reducing friction and vibration. Ceramic diff balls have very high durability (when properly lubricated) due to reduced slip and heat. 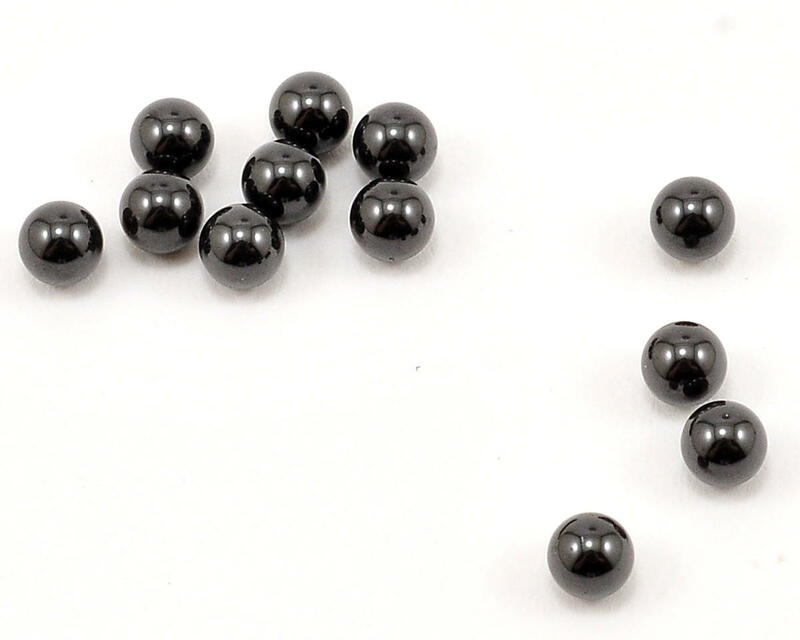 With ceramic being approximately 60% lighter than steel, ceramic diff balls have a significantly lower rotating mass. Together this means that the lifespan of ceramic diff balls is 3-5 times longer than that of steel diff balls under matching conditions. Ceramic diff balls have vastly-superior corrosion resistance over steel diff balls, with an inherent low-friction coefficient and smooth surface, frictional forces on ceramic diff balls are much lower.